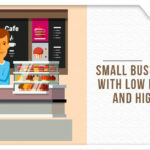 Being a small business owner can be a challenging prospect. The most vital ingredient to be a successful entrepreneur with their own business is confidence and a degree of fearlessness. These might seem like personality traits that one needs to be born with, but actually, these can be cultivated through practice and a rigorous approach to one’s work and professional life. The following five success mantras will help you convert the challenges of running a small business, into rewards and push to exert your business to its full potential, confidently and fearlessly. To be a successful entrepreneur, you need to know about yourself but at the same time, this should not limit you from evolving and from being innovative. The ability to innovate and create something new is the key to success in the current business climate. Do not shy away from being a trailblazer in your field. The originality of your ideas and your products will make your brand memorable and help you carve a place for your company. Quick business loans these days also recognize that originality and dynamism in innovation are crucial for success. Have very high standards of excellence for yourself and your company. Never ever compromise on the quality of your service or your product. At the end of the day, quality and performance are what separates successful business ventures from the ones that crash and burn. This also has a very key bearing on profits from your startup or the SME loan interest rates that you need to keep up with. Stay connected with other industry professionals as well as with consumers, promoters, and distributors through live events and meetings. The power of networking in business success has been proven statistically through innumerable studies, so there is no excuse not to network. This is how new opportunities are put in your way and how you are able to create strong ties in the market for the longevity and success of your business. The world can be your oyster, but only if you know how to use the incredible amount of resources, related to both materials and ideas, which can be used by you. Aim for constant growth and with quick business loans for start-up and SME loans interest rates being so agreeable these days, your ideas need not wait to be transformed into reality. Always know who you are and what the guiding objectives of your business are. Have precise short-term and long-term goals and assess these at regular intervals. You should be able to objectively look at your progress and identify what needs to change. For this, your focus on your company and its performance need to be unwavering. Believe in yourself and the venture you have created and focus to realize your goals. So, in conclusion, remain steadfast in your belief in yourself but always be open to new ideas, to personal growth and reinvention. Keep your loyal supporters close to yourself and most of all, respect their critical feedback. Implement the above mantras till they become habits, and your business would most definitely flourish.